The project Andermatt Swiss Alps transforms the charming mountain village of Andermatt into a unique year-round destination. It offers an attractive mix of hotels, apartment houses, chalets and thus a different range of activities. The apartments in the Gotthard Residences will be ready starting from winter 2018 and the exclusive hotel-service of Radisson Blu will be available. 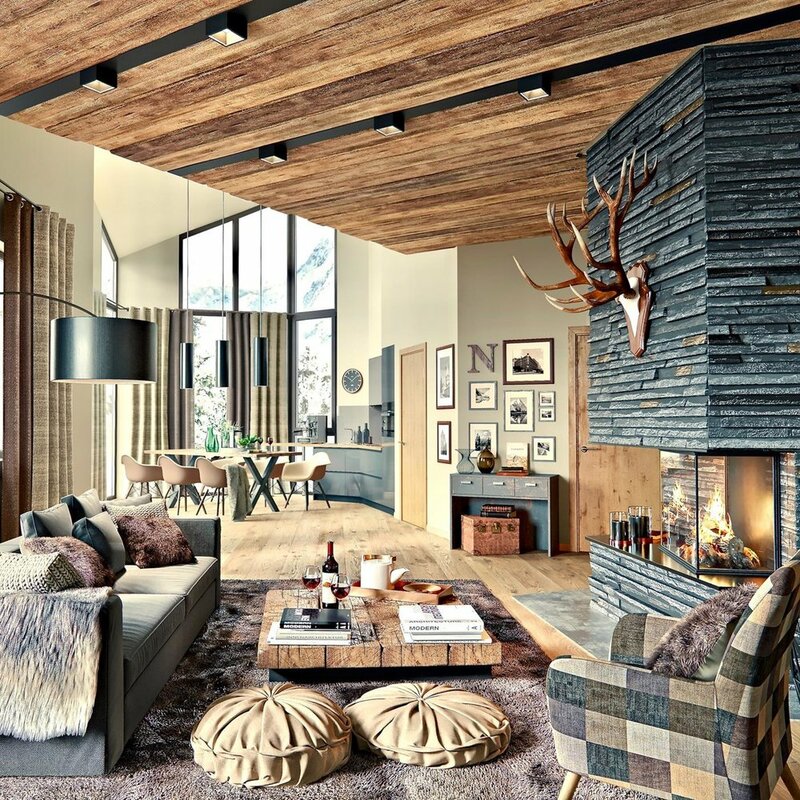 The apartment house Alpenrose offers a limited number of exclusive duplex-penthouses with their own sauna and a wonderful interior design "modern rustic". 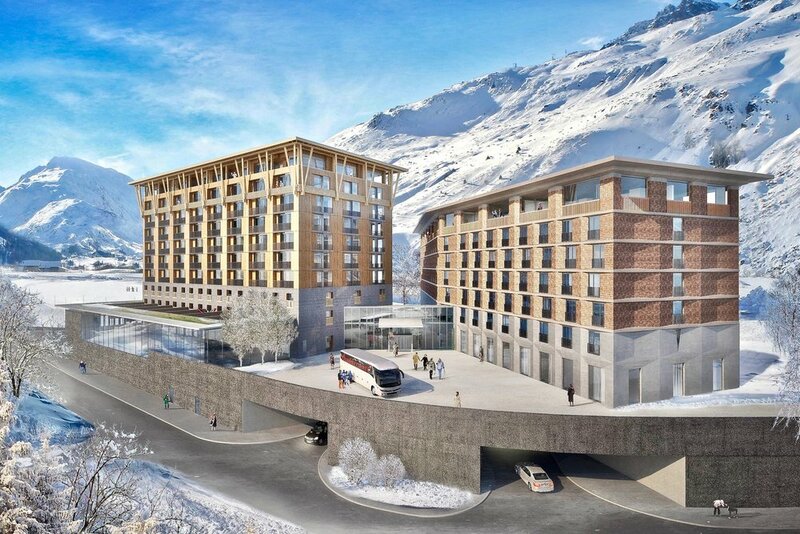 For the winter season 2018/19 the ski resort Andermatt-Sedrun will be completed. 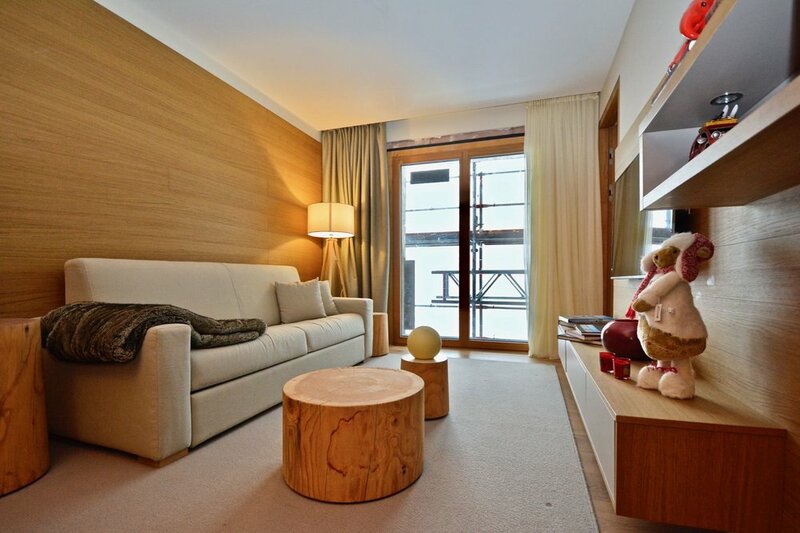 Convince yourself during this occasion of the lifestyle and all the advantages that Andermatt Reuss offers. It would be a great pleasure to present you this new project. Enjoy the advantages of your own private apartment without giving up exclusive hotel service: This attractive concept of “hotel serviced apartments” is offered by the Gotthard Residences at Andermatt Swiss Alps. Around 100 units are being built in the new, free-standing residence building – from practical studios to spacious family-sized apartments to luxurious penthouses. The residences are in a wing completely separate from the hotel, making for a pleasant, private atmosphere. Residence owners can use all the hotel services and benefit from the extensive wellness and fitness facilities. House Alpenrose provides stylishly furnished apartments which combine traditional elements with modern design for your comfort. Across 5 storeys and ranging from 50 to 146 m², the apartments provide the right amount of space whatever your needs. One particularly exclusive highlight of House Alpenrose are the five maisonette apartments, which not only provide ample space for you, your family and friends over two storeys, but also have their own sauna or steam bath for your relaxation. All apartments in apartment house Alpenrose are constructed from high-quality material and are fully furnished and equipped with TV and audio systems. all apartments have a light, full-storey glass bay window which allows light to flood into the rooms and gives you a first-class view of the landscape. All units are equipped with high-quality ensuite bathrooms. For your further comfort, a KNX system enables you to conveniently adjust the lighting and heating, with the option of doing so from the ski slope by Smartphone. And when you come home after a day on the slopes, you can store your skiing equipment securely in your own, separately lockable cupboard in the basement of the house. 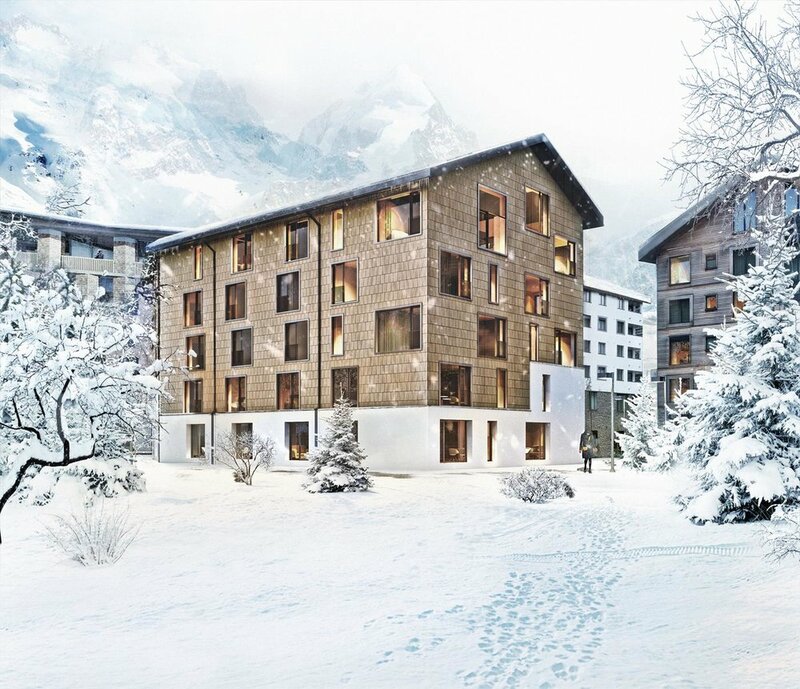 What was previously only offered in the high-end real estate segment in Andermatt, is now available in limited quantities, at a much lower price. Welcome to Eisvogel Smart Studios, your very own paradise in the heart of the Swiss Alps offering pragmatic luxury to a younger, sports-loving audience. Cost-saving and smart rental. The Smart Studios, with their unique value-for-money offer, make it possible to enjoy winter and summer sports more often while saving on hotel costs. Apart from the occupier’s own usage, there is a smart rental concept in place that will generate income for owners. For the winter season 2018/19 the ski resort Andermatt-Sedrun will be completed. The work is focused in particular on the construction of the gondola lift Oberalppass-Schneehüenerstock and the pumping station on the Oberalpsee for the artificial snow. The construction of a self-service restaurant and terrace is also planned at the top station of the Schneehüenerstock. The new restaurant on the Gütsch will also be tackled. Other works include slopes construction, snowmaking, enlargement of the children's land on the Nätschen etc. Are you international and want to buy real estate in Switzerland? 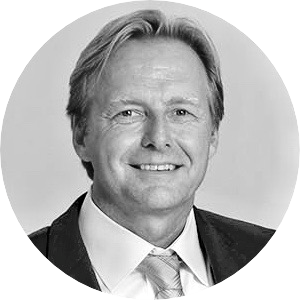 The purchase of real estate by persons not domiciled in Switzerland is strictly limited and is subject to special approval (Lex Koller). This is intended to restrict the sale of residential properties to international investors. On 21 December 2007 the Swiss government granted Andermatt Swiss Alps AG a blanket exemption from the Lex Koller approval requirement. 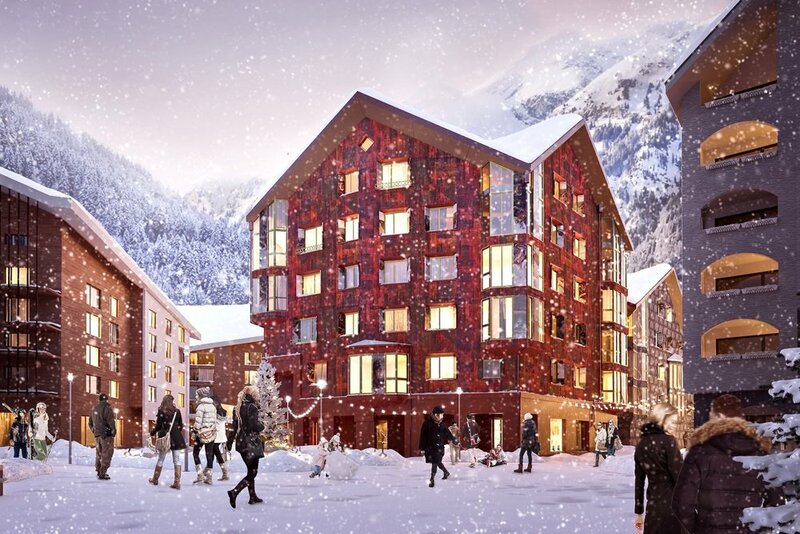 Thus, any international investor can buy and sell apartments and buildings from Andermatt Swiss Alps AG without special approval and without restriction. This exemption will remain in force at least through 2030.